I just read that Ryan Reynolds and Blake Lively - who briefly dated Ryan Gosling - got married this weekend at Boone Plantation in South Carolina. I could care less except that the site was one of the backdrops for Allie and Noah in The Notebook. 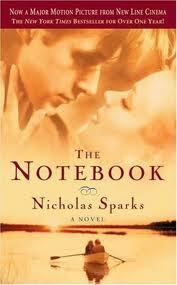 And therefore a great excuse for me to post this Notebook trailer. A reminder, if needed, as to why we love (okay, why I love) Ryan the Gosling vs Ryan the Reynolds. And to remind you of this beloved screen adaptation of the book. Such a beautiful story and film! 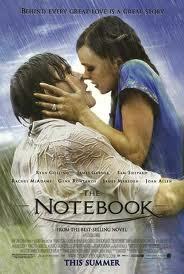 I've seen The Notebook more times than I like to admit. It pulls the heart strings every time! I agree. It may not be very realistic but who cares; it's unbelievably romantic and beautiful! Can you believe I've never seen that movie? And I've never read the book - a little too 'romance novel' for me BUT the movie really worked. The chemistry of Gosling and McAdams and their young love played against the moving story of their older selves played by beautiful Gena Rowlands and James Garner was poignant and lovely.